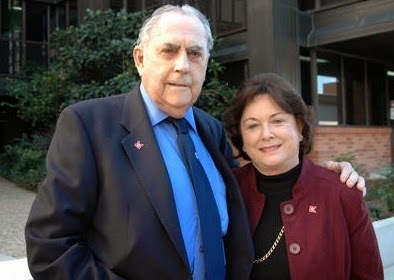 In early 1980 Jack Brabham and I met at his hangar/office at Bankstown airport to ask him if he wanted participate in the TR7 series, and to my surprise he agreed. We had a package of payments comprising starting money and prizemoney, which wasn’t huge, but substantial enough to get agreement from all the drivers we approached. Jack said the money wasn’t important, he thought it would be great fun. Just after the first practice session Ron Gillard got a taste of Brabham's well-known dry humour. Jack told Ron: "No wonder you can't sell these things, the instruments aren't very reliable." Ron said: "What do you mean?" With a smile Jack replied: "I kept checking the oil pressure, but it never moved off a quarter-to-three." 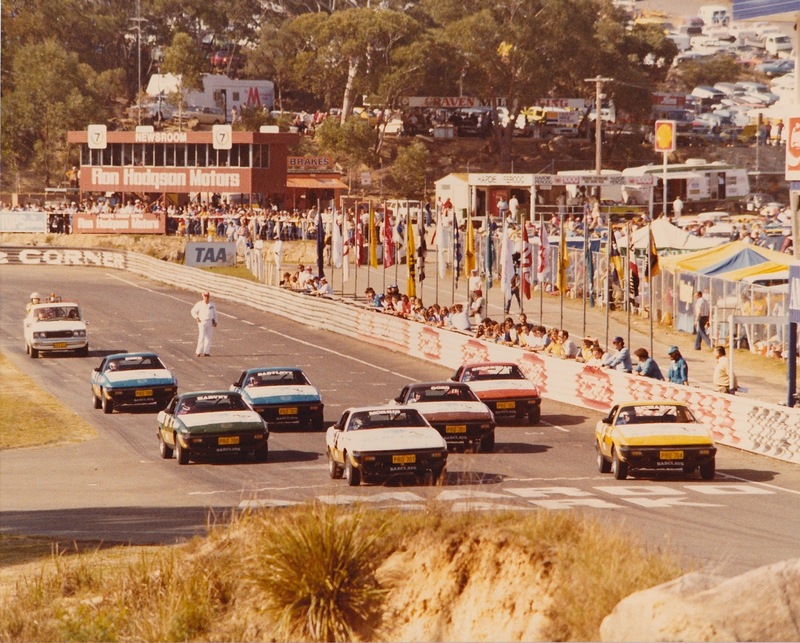 The first round at Amaroo Park (NW of Sydney) happened in March 1980 and if it was a taste of things to come, this was going to be a hell of a series. 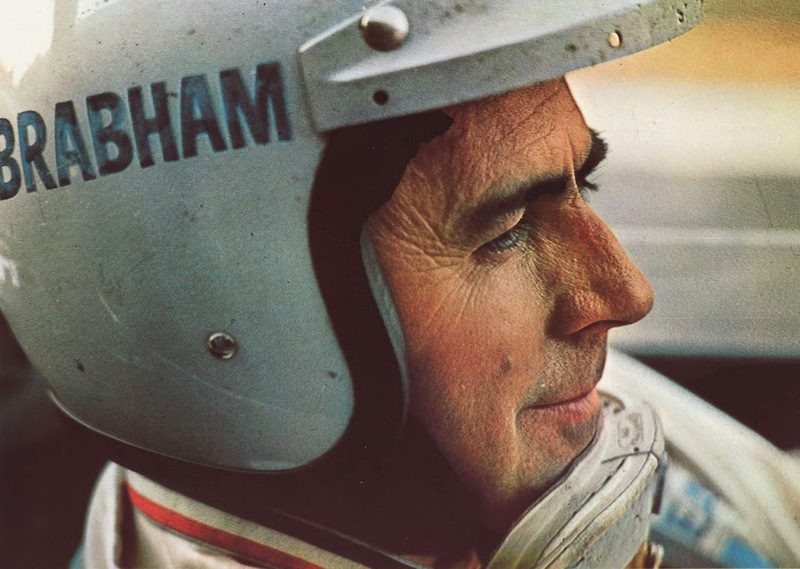 All the drivers got along well, and each of them told me how good it was that we had snagged Jack Brabham. The guys were ready to rip, and I think everyone was surprised by how tight the racing was, the overtaking, the late-braking, and occasional forays off the circuit. It was cut and thrust racing at its finest. Mike Raymond, the Channel 7 commentator, was going off his face with excitement! First round action, Brabham's out of sight because of his one-minute penalty! Although I never competed in racing I did have experience as a motor racing commentator, so the Australian Racing Drivers Club invited me to be the track announcer for all the rounds. This was great, as I knew all the drivers well, and I could ‘personalize’ the commentary with tidbits from practice, and various facets of the drivers’ personalities. The first round kept me very busy calling the race, because the changes were many, as were the ‘racing incidents’! Jim Richards won the round, but we had to penalise Jack Brabham one minute, for jumping the start! Immediately after the race ended I received a deputation in my motorhome from four of the drivers, with frowns and very serious faces. Now, I said there were quite a few ‘racing incidents’ (which is code for “somebody gave me a nudge”), and as I was calling the race from the top of the control tower I certainly witnessed lots of incidents! I asked Jack to come and see me, and after we had discussed it I decided I would do nothing. It certainly brought added interest to the event; having a world champion in the field, and especially one with a ‘colourful’ driving style. However, the other racers wouldn’t give up, they urged me to ‘fire’ the three times world champion! I was rescued by fate. 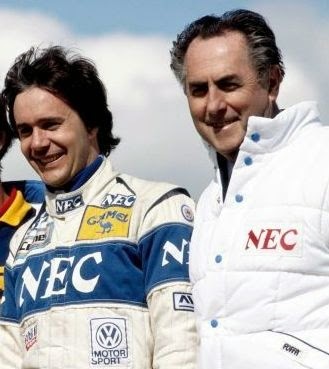 In 1980 one of Jack’s three sons, Gary, was just getting into serious racing in Europe, and Jack’s now wife Lady Margaret Brabham called me and said that Jack was keen to see Gary race. When I asked how long Jack would be away, she said that unfortunately Gary’s season coincided with the TR7 series. So for the cost of a couple of First Class airfares to London, I was able to help Jack see Gary race, and keep the guys quiet about Black Jack’s racing tactics. 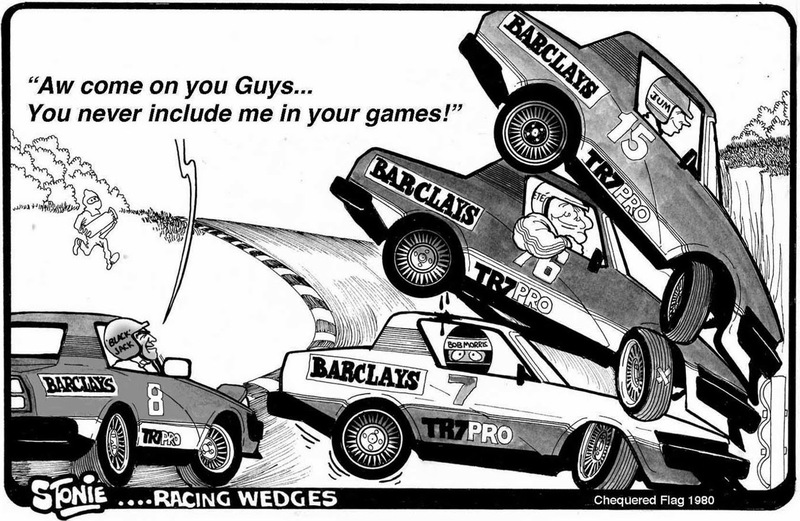 All was well with the world, and the Barclay’s TR7 Pro-Car Series went on to do the job!